The National University of Samoa (NUS) invites scholars, artists, vocational trainers, public servants, private consultants and researchers to participate in its second Samoa Conference to be held in Samoa, July 2011. Samoa Conference II provides an opportunity for participants to share in a comprehensive international forum showcasing scholastic, vocational and artistic works on Samoa in Samoa, on the peoples of Samoa, its environment, cultures (popular, national, local, international and diasporic), traditions, laws/lores, arts, musics, worldviews, politics, medicines and technologies. Samoa Conference II complements our bi-lingual, bi-annual Measina Samoa Conferences. The Samoa Conference II theme is: “Tracing Footprints for tomorrow: past lessons, present stories, future lives”. The theme focuses on the oft-cited wisdom that moving forward towards a safe and prosperous future requires learning from the past to enable the present and secure the future. The theme asks: What have we learnt from the past? What do we do in the present? How do we move forward into the future? Stayed tuned for upcoming details and information on the Samoa Conference II 2011 hosted by the National University of Samoa. To register your interest and sign up for updates contact [email protected]. Dreaming of islands—whether with joy or fear, it doesn’t matter—is dreaming of pulling away, of being already separate, far from any continent, of being lost and alone—or it is dreaming of starting from scratch, recreating, beginning anew. Our new issue of LiNQ considers the theme of islands, both metaphorical and real. Deleuze’s contemplation of islands is just one view—and a Western and Northern Hemisphere one at that. Southern islands, both in the South Pacific, in South East Asia, and connected to this island continent need not be part of this frame. Joanna Murray-Smith, Dorothy Cottrell, E.J. Banefield, Randolph Stow, Oodgeroo Noonuccal are writers all linked powerfully in the public imagination with particular islands. There are many hundreds of islands central to our region in the archipelago of the Great Barrier Reef alone. The point of departure for this issue will be the environmental writings of Vance and Nettie Palmer and their writings about Green Island. Their nine-month sojourn became a search to understand the meaning of the island, as well as the surrounding reef and its relationship to the sea—for all those who inhabited and used that region. For the Palmers, the search to understand was deeply connected to the search for words and ways to write about it. Nettie’s poetic lyricism of modernism offered a form to entice the reader, then. How do we write islands, now? Memoir, autobiography, eco-writing, and travel are just a few modes that some writers use when they consider islands. LiNQ calls for academic submissions that address Island Writing/ Writing Islands in its range of meanings, discussing literature and/or culture, present or past, with preference given to the Antipodean North: North Queensland, the archipelago of the Great Barrier Reef, the Pacific this side the Equator. Similarly, LiNQ is seeking poetic, fictional, and creative non-fiction treatments of islands from the evocation of a numinous island landscapes to the enduring effect of landscape, history, culture. Dr Deborah Jordan of the School of English, Media Studies and Art History, University of Queensland, will serve as guest editor of the special issue. Or through our submission portal on the LiNQ website. Articles must be no longer than 6000 words. Include a brief abstract of the article or creative submission (no more than 75 words) and a 50-word biographical note. Reviews are also welcome. Follow MLA citation style and format. All contributions should be submitted as a Microsoft Word file, double-spaced in 12 point font. All images must be used by permission only. SUBMISSIONS CLOSE ON AUGUST 30, 2010 for Issue 27 December 2010. The University of Sydney is the proud host of the first Mellon Sawyer Seminar to be held in Australia. The seminar will conclude with a conference on 5-7 August 2010. How does a strange place or people become comparable with those more familiar? What does it take to relate a new plant or animal to those already well known? How does one standardize observations and mobilize things and people and situations so they have meaning elsewhere? That is, how was the Pacific made into the obligatory site for exploring the issues that mattered in the Atlantic world? In particular, this conference will examine the ways in which both oceanic regions were co-produced through a complicated series of intellectual and practical interactions over many centuries. Moreover, it will seek ways in which to make the Pacific visible again in global scholarship. For more information, including a full program, abstracts, how to register and information on bursaries available for postgraduates, please visit the Sydney Sawyer website. On a crisp autumn night, Paul Carter presented a paper on ‘dry thinking’ as a contribution to the Southern Perspectives series. There was a complex North-South dynamic at play in Carter’s talk. Although published in German, Carter’s paper had never before been presented in English before. And although invoking the broad trajectory of Western philosophy, it offered a view from a country in a radically different zone – Australia. Carter’s talk provided an opportunity to respond to the challenge laid down by Raewyn Connell regarding the geopolitics on knowledge. What kind conceptual thinking might embrace the experience of living in country like Australia? It is hard to think of anyone in Australia who is better fit for this challenge than Paul Carter. Carter has been able to combine a career both as a writer and ‘place maker’. His 1987 seminal contribution to Australian historiography Road to Botany Bay will be republished this year. Since that book, he has produced a series of publications that uncover a broader poetic context for inhabited space. His most recent Dark Writing, published by the Institute of Postcolonial Studies last year, develops the link between his thinking and the challenge of designing public space. University of Western Australia is about to publish his next book, Groundtruthing. In this talk, Carter considered the use of water as a metaphor by thinkers in the European tradition. This offered a critique of the way water has been consistently problematised as a symbol of doubt and confusion, by contrast with the ‘dry thinking’ that subscribes to fixed distinctions. But Carter’s talk went beyond this in critiquing metaphorical thinking per se as a form of abstraction that denies relation to place. So Carter speculated on which river it was that Heraclitus thought we could not step into twice. He contrasted the gridded landscape around Descartes with the variegated nature within which Vico wrote. In painting these scenes, Carter seemed to take an almost cinematic approach to thinking, considering its ‘scene’ in the specific time and place of its emergence. Look out through the porticos of the Stoa and, in Australia at least, the bush is burning. It makes little sense to praise the potentiality of democratic communities lying in wait when drought drives the pioneers of the plough from the land, or when deforestation removes their shelter. The philosophical Ilyssus, whose flowing has always hitherto licensed philosophers to dream of composing music – visions akin to poetry’s – has, at least in the south, dried up. There seemed room there for the kind of move characteristic of the existentialism of Sartre. Here the individual is seen to seize responsibility to create a project that responds to their immediate political situation. One obvious challenge arising from Carter’s thought is to consider how his methodology might be applied to other locations outside the familiar scenes of Western thought. What ideas like under the shadow of the Andes or on an atoll? How might this be extended beyond landscape to engage with the layers of political history that inform a sense of place? The Pacific Regional Centre of Excellence for ESD, the University of the South Pacific through its School of Education has produced a 3-volume book series devoted to Education for Sustainable Development. The books are an outcome of a School of Education initiative under the USP Asia-Pacific Cultural Centre for UNESCO [ACCU] ESD Project. Contributors represent a number of Pacific island countries including Fiji, Kiribati, Rabi, Rotuma, Samoa, Solomon Islands, Tonga and Vanuatu. 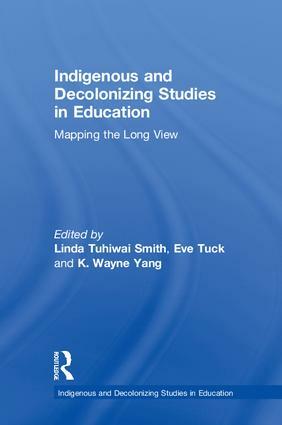 The book series is of particular interest to those seeking to find out more about how indigenous knowledge can and should influence development in the Pacific islands today and the role of the University in promoting and supporting these movements. Significantly, they offer insight into the role that education (formal, non-formal and informal) should play in preparing Peoples for life long learning and for survival in the changing turbulence of our contemporary times. Volume 1 “Continuity and Survival in the Pacific” presents a selection of articles by Pacific scholars exploring the ways by which Pacific societies live the principles of Education for Sustainable Development. The articles also provide some insight into current thinking about ways by which Pacific peoples may take control in determining the future of the region. Volume 2 “Pacific Stories of Sustainable Living” includes stories of Sustainable Living presented through the arts including visual arts, poetry, chants, stories, dance and life stories. Volume 3 “An Annotated Bibliography” provides a collection of abstracts and bibliographical information on ESD in the Pacific – useful text for those interested in further study on ESD. Cresantia F. Koya (Fiji) is the product of multiple diasporic journeys. Of Arab, Indian, Samoan, Irish and Solomon descent, she teaches courses in Curriculum, Educational Theory and Pacific Studies at the University of the South Pacific. An artist and writer, she is actively involved in the development of the arts in Fiji. Her research interests include Education for Social Change and Justice, Pacific Studies and the Arts, Teacher Education for the future and Education for Sustainable Development. She is currently the Acting-Director of the Oceania Centre for Arts, Culture and Pacific Studies at the University. She is also a member of the core-group tasked with developing the Regional Cultural Strategy for the Pacific and the Culture and Education Strategy. Combining her work in curriculum development and the arts, she is keen to see indigenous knowledge, culture and the arts provided a platform in mainstream and non-formal education. Unaisi Nabobo-Baba (Fiji) is an indigenous Fijian. She has taught at a number of secondary schools in Fiji and at the Fiji College of Advanced Education before joining the University of the South Pacific in 1996. She is currently a Senior Lecturer in Education. Her areas of research and publications include: Teaching and Learning in specific contexts, Teacher Education in Pacific Islands contexts-pre service and in-service, Indigenous education and development related discourse, Pacific Islands and Small Island States education, Education and Global Change Agendas, School and Community Relations and Education, Women and development, women teachers and their stories, Remoteness and islandness, Indigenous Knowledge and Epistemology and, International Aid and Education. Teweiariki Teaero (Kiribati) taught art and Kiribati Studies at secondary school before joining the University. He is currently a Senior Lecturer in Education and Head of the School of Education at USP. His interests are in the areas of educational leadership, indigenous epistemologies, indigenous and contemporary Pacific art and culture and Kiribati orature. He has presented many scholarly papers in regional and international conferences and published numerous articles in peer-refereed journals. He is an accomplished artist and poet, with several publications and exhibitions to his credit. Paserio Furivai has taught for over 20 years in various parts of Fiji at both primary and secondary levels. He also worked as a Teacher Educator at Corpus Christie College and at the University of the South Pacific. In 2008, he founded the IPA Learning Centre, an education related company with the vision of ‘Sustainable learning through the use of innovative resources”. He is also the Director of the Kip McGath Education Centre in Nasinu. 1. Objects from Central and Eastern Polynesia (the Cook Islands, Society Islands, Austral Islands, Gambier Islands, Marquesas Islands, Rapa Nui) in museums and private collections. Current research on 19th century and earlier works, including scientific testing. 2. Pacific Islanders’ views today on the relationship between objects and atua (spirit beings, deified ancestors, and `gods’). 3. Contemporary work by Pacific Islander artists, including Pasifika work coming out of urban centres; how artists influence changing perceptions and understandings of Pacific culture. 4. The emerging role of museum websites and other web entities dealing with Pacific art. “Virtual repatriation” – what is it? can it work? 5. Representing Pacific art and cultures. The role of libraries, archives, museums and other institutions in the Pacific in furthering the understanding of Pacific art and raising issues concerning the interpretation of Pacific art by institutions world-wide. The Australian Association for the Advancement of Pacific Studies (AAAPS) holds a biennial conference. The first one, "Australia in the Pacific – the Pacific in Australia" was held in January 2006 at the Queensland University of Technology (QUT). The next, "Oceanic Connections", was held in April 2008 at the Australian National University (ANU). AAAPS now invites abstracts for presentations to the 3rd AAAPS conference, “Oceanic Transformations” to be held at the Victoria University Conference Centre, 300 Flinders Street, Melbourne, from Thursday 8th to Sunday 11th April 2010. For more information about AAAPS please visit the website http://www.aaaps.edu.au/. Membership is free, if you are interested, please register on the website. In the 21st Century Oceania, including Australia is faced with issues such as climate change, collapse of global financial institutions and unsustainable agriculture and fisheries. While the globalization of markets has been seen as an inevitable process, recent events point to a need for more attention to be paid to local solutions to global problems within the Oceanic region. Australia’s role seems marked by contradiction. Official institutions are attempting to increase their influence in the region, yet Australians learn less and less from their educational institutions and media about Oceania. At the same time, growing diasporas of Pacific Islanders in Australia are making their presence felt in fields of culture, music, sport, education and civil society. The Conference will be cross-disciplinary, Papers of 20 minutes duration are invited in the following streams, preference will be given to topics which address the Conference theme but all papers in the field of Pacific studies will be considered. Please email abstracts of 200 – 300 words and brief biographical details (including email and mailing address) to one of the convenors below. Publication of books of refereed papers will be discussed at the conference, together with other modes of publication, including e publication. The study of Pacific History underpins all other approaches to this region: explorations of Pacific economics, health, social and cultural development, foreign relations, and the arts demand an understanding of the trends that have contributed to shaping the contemporary region and its peoples. And yet paradoxically, the sub-discipline of Pacific History is in decline in Australia. Why this should be the case, and what can be done to address this trend, are questions that require answers if the study of Pacific History in Australia is to retain its central role in Pacific studies more generally. Anthropology has an abiding interest in the history, development and current cultural affairs of the Pacific Islands, with important figures (e.g. Malinowski, Firth) in the development of the discipline having done their research there. What is the current state of play of anthropological studies of the Pacific Islands in Australia? Are there “discoveries” yet to be made in social anthropological research? And how might anthropological research on the Pacific Islands contribute to the understanding of “oceanic transformations” today? Governments and political systems across the region present a variety of types, and reflect different approaches and values. All are challenged by external pressures and changing local public expectations. This section seeks insights that will increase our understanding of government and leadership. Such insights might include the following, and more – such as how government is composed, eg. women’s roles; how it is constructed or operates, and how constitutional reform is approached; how government responds to the nation’s needs in crucial areas, ranging from citizen’s rights and justice to social development and protection of resources. A good deal of Australia’s relations with the Pacific Islands is mediated through regional organizations, yet they are not often subjected to as much study, media attention or focus by civil society as they deserve. Papers are invited in this stream that offer analysis of current or historical approaches to regional organizations and policies, including intergovernmental organizations, civil society organizations, security, environmental or trading organizations. Education is one of the major areas of spending by Pacific governments; it is a major component of the Millennium Development Goals and a prime destination of Australian aid. Many innovative strategies are being pursued in the Pacific Islands to address many of the problems education faces in Pacific Islands. This stream invites papers on educational initiatives in the Pacific Islands, and lessons which can be learnt about the educational challenges facing small island states. The Copenhagen conference was a defining moment in Australia’s relations with its Pacific Island neighbours, how do Islanders see the future from the perspective of all environmental issues, including forestry, energy use, fisheries and what are strategies for sustainable development in the islands and in Australia that do not compromise the environment. The media play a key role in influencing how Australians see the Pacific, yet we have very few journalists in Australia with a deep knowledge of Pacific Island politics, international relations and societies and cultures. Filmmaking on the Pacific has been of considerable importance in how Australians see our island neighbours. Media studies is now an academic field within Australia and the Pacific universities and hopefully papers will be offered in this field on how to make Australian and other international media more responsive to the region. It will also cover film-making and production of television series related to the Pacific Islands. A new focus on Pacific arts and cultures is highly visible in Australia’s premier cultural institutions, whether acknowledging the aesthetic wealth of Pacific peoples contained in their historic collections, or paying attention to the abundant creative talents of contemporary artists. This stream will concentrate on recent Pacific exhibitions in Australia and cultural events in the contemporary Pacific. The Collections Australia Network is assisting with developing presentations that demonstrate the effective use of new digital tools with collections research, exhibition development and the presentation of cultural knowledge. This session addresses the need for Pacific Studies programs to provide outreach for Pacific Islander communities in Australia. Pacific Studies can be used to create access pathways for tertiary education by linking community needs, and cultural values and concepts, with issues and approaches in Pacific Studies disciplines. Outreach programs also allow Pacific Studies scholars to engage with policies and programs for equity and diversity in Australian Higher Education. Several such programs exist across Australian universities but most do not use methods and content from Pacific Studies to connect with Islanders. The session will be run as a discussion forum. Tourism is the way most Australians experience the Pacific Islands, it is also a major industry faced with a number of issues of sustainability and now also a major academic field. Papers are invited from those working on issues of tourism from the perspectives of many disciplines, including business, environment, cultural communication, economics and labour relations. Health is another major way in which Australia interacts with the region, investment and aid in the sector is growing. Many Australian academic institutions have links with their counterparts in health institutions in the region. Papers are invited which analyse national and community level initiatives being led by Pacific Island countries in key health areas. Australia is a major aid donor in the region, yet Australian Development NGOs frequently do not regard the region as poor enough or oppressed enough to make it a focus for their advocacy work. Pacific Island civil society organizations have a much better understand of the Australian system than Australians do of theirs. This stream invites papers on innovative ways of connecting Australian and Pacific Island civil society and advocacy organizations with a focus on social transformation in fields such as economic justice, gender issues, sustainable agriculture and nonformal education. The Sydney Sawyer Seminar explores the history of how the Antipodes – and especially the Indo-Pacific lands and oceans – has constituted a laboratory for the Atlantic world over a broad intellectual, geographical and temporal scale. Our seminar covers three centuries from 1700 to 2009, and focuses on Atlantic-derived conceptions and experiences within the Antipodes that bear especially on the themes of humanity and cultures, of sovereignty and imperialism, and of environment and ecology. This session investigates the impact of the antipodes on anthropological thought through centring discussion on the disparate and extraordinarily diverse peoples of the Pacific region. The aim of many 18th-century European expeditions to the Pacific was to glean information about natural phenomena (geology, astronomy, cartography etc). The mediators of this information were the peoples indigenous to the many islands and lands spread across the Pacific Ocean. Rather than a laboratory of clinical and predetermined materials, the antipodean ‘laboratory’ was often treated as a marketplace where negotiation for access to resources necessarily involved the gathering of cultural knowledge, names, languages and cultural products. These chance purchases and notes were the beginnings of anthropological thought here. RSVP to Katherine Anderson [email protected] or 02 9036 5347 by March 20. Tongan writer and cultural theorist Epeli Hau’ofa passed away on Sunday 11 January 2009. Hau’ofa was born in Papua New Guinea in 1939 of Tongan missionary parents. He was educated in a variety of countries, eventually receiving his PhD at the Department of Anthropology, Australian National University. His positions included Keeper of Palace Records in Tonga, Head of Sociology Department and Head of the School of Social and Economic Development of the University of the South Pacific. In 1997, he was the founding Director of the Oceania Centre for Arts and Culture in Suva. This became an important cultural base for exchange and expression in the Pacific. Hau’ofa was a novelist of satiric fiction, such Tales of the Tikongs and Kisses in the Nederlands. His most recent publication, We are the Ocean, included essays about the nature of the Oceanic, and how the sea connects Pacific peoples together, from the east coast of Australia to California. In 2004, he visited Melbourne to give a presentation at South 1, the inaugural meeting of writers and artists from across the South. His expansive notion of the Oceanic provided an important platform for connecting together the island people participating, particularly from Rapa Nui. His conversation with ABC radio host Philip Adams at the time dwelt on his pride in cabbages. The fruits of Epeli Hau’ofa will be enjoys for many years to come.